Millet calls the Trilogy Wool long-sleeve a “transfer layer” since it’s so good at moisture wicking. Just wear the sporty-cut shirt underneath everything and stay warm and dry. 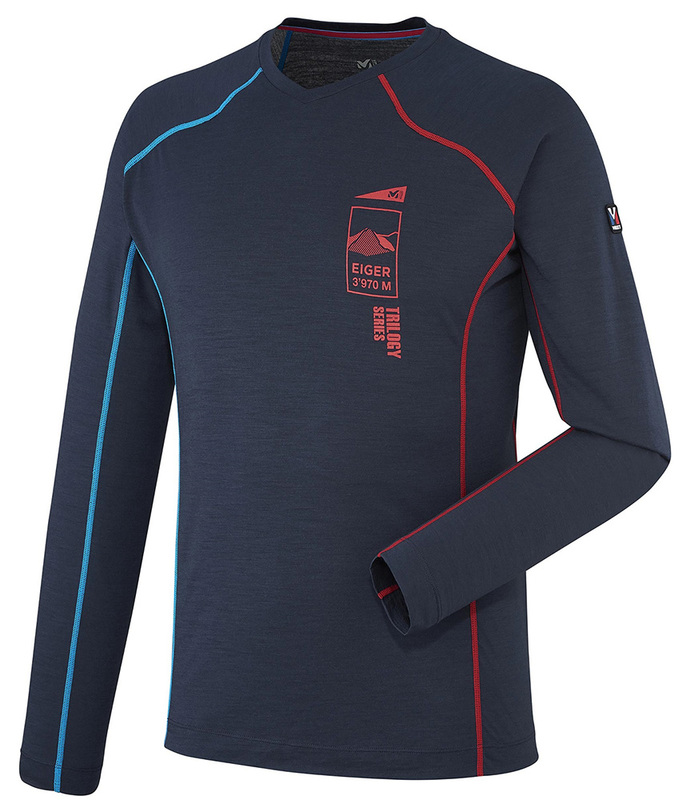 Key to the performance of the base layer is Carline® XCL 150 wool blend, which uses hollow fibers for lightweight insulation. The Trilogy TS is a seamless weave of said fibers that dump heat and moisture from key zones while staying flexible. The Millet Trilogy Wool TS is long-sleeve under layer that you can wear every day in the mountains. •CARLINE® X.C.L. 150 is a Merino wool blend that wicks even better. •Microbes are contained by a Polygiene® to help control your odor. •Designed for ski touring and other stylish, functional applications.